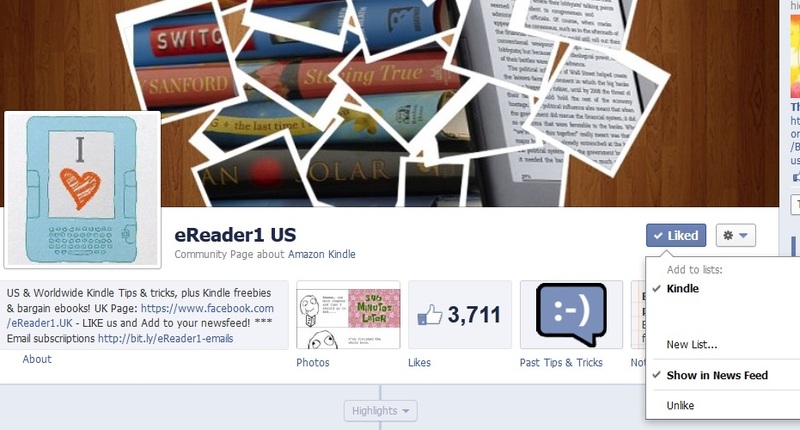 eReader1: Tip - never miss one of our facebook posts! Tip - never miss one of our facebook posts! 1) If you are busy at work, sleeping or just not on facebook, this gives you an easy non-intrusive way of letting you see posts quickly and easily. 3) Our posts only go to about 25% of our members feeds, either due to facebook system or you weren't around to see them. This way you don't miss any but you decide when to view them. 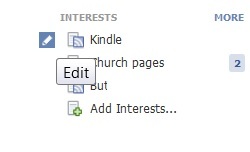 UPDATE: with recent facebook changes, now fewer than 10% of you see each post. Select New List or click an existing list. 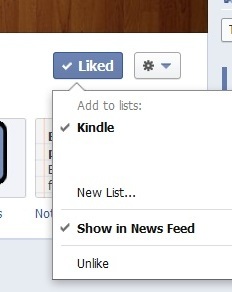 Select an existing list or click "New List"
Then go to your own newsfeed (http://facebook.com). scroll down until you get to your Interests menu. Hover over the list (left side) until you get a pencil. Now, go to the top of your news feed. the top left of the menu, in your "Favorites". 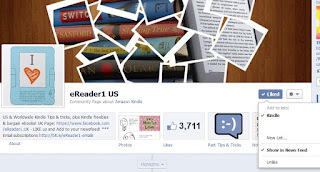 a number will appear next to the word Kindle. Then you know a post is waiting for you!